Born on June 28, 1712, in Geneva, the French philosopher, novelist and essayist Jean-Jacques Rousseau was one of the most prominent and definitive minds of the Enlightenment. Self-taught, Rousseau dabbled in many fields, keeping journals of his interests in science, mathematics, music, astronomy, botany, music, literature, and philosophy. He achieved sudden success and subsequent fame with his "A Discourse on the Arts and Sciences", a work that cemented his pivotal place in the history of The Enlightenment and philosophy as a whole. 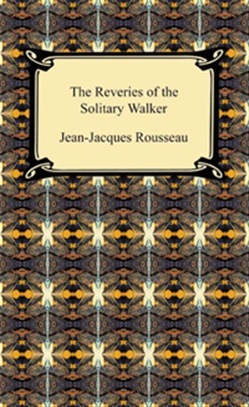 "The Reveries of the Solitary Walker" is an unfinished work, one of the last composed in Rousseau's lifetime. The book is composed of ten chapters, called "walks." Walks eight and nine were never revised, and the tenth walk is incomplete. Regardless, this work, like others written near the end of his life, is greatly autobiographical, consisting of descriptions of walks he took around Paris, as well as further comment on arguments he previously made, concerning education and political philosophy, among other subjects. Acquista The Reveries of the Solitary Walker in Epub: dopo aver letto l’ebook The Reveries of the Solitary Walker di Jean-Jacques Rousseau ti invitiamo a lasciarci una Recensione qui sotto: sarà utile agli utenti che non abbiano ancora letto questo libro e che vogliano avere delle opinioni altrui. L’opinione su di un libro è molto soggettiva e per questo leggere eventuali recensioni negative non ci dovrà frenare dall’acquisto, anzi dovrà spingerci ad acquistare il libro in fretta per poter dire la nostra ed eventualmente smentire quanto commentato da altri, contribuendo ad arricchire più possibile i commenti e dare sempre più spunti di confronto al pubblico online.